Today the regiment began at sunrise and marched ten miles, passing the 19th Corps. 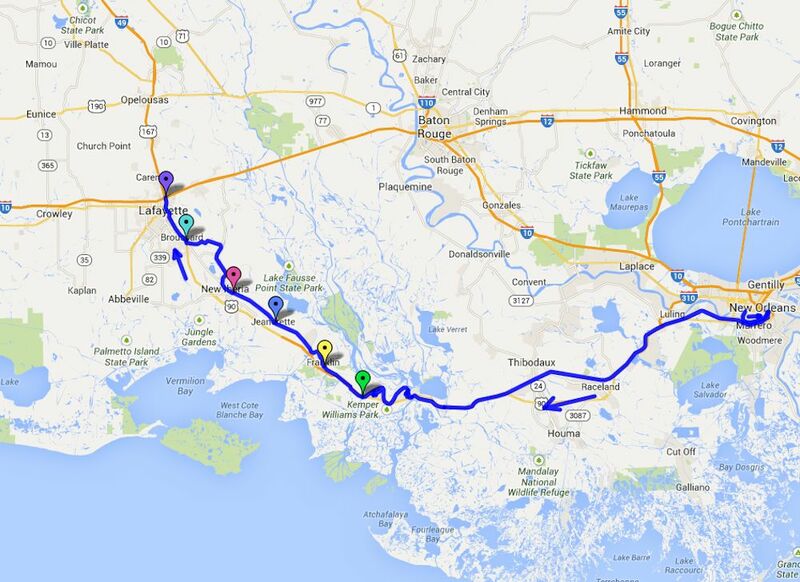 They went into camp at Vermilion River (referred to in soldiers' diaries as Vermilions Bayou) River about 1:00 pm where they would stay for 13 days. 1863 military map showing the approximate route of the 16th Ohio on its march northwest to a point northeast of Vermilionville (modern day Lafayette), Louisiana, on October 10, 1863. 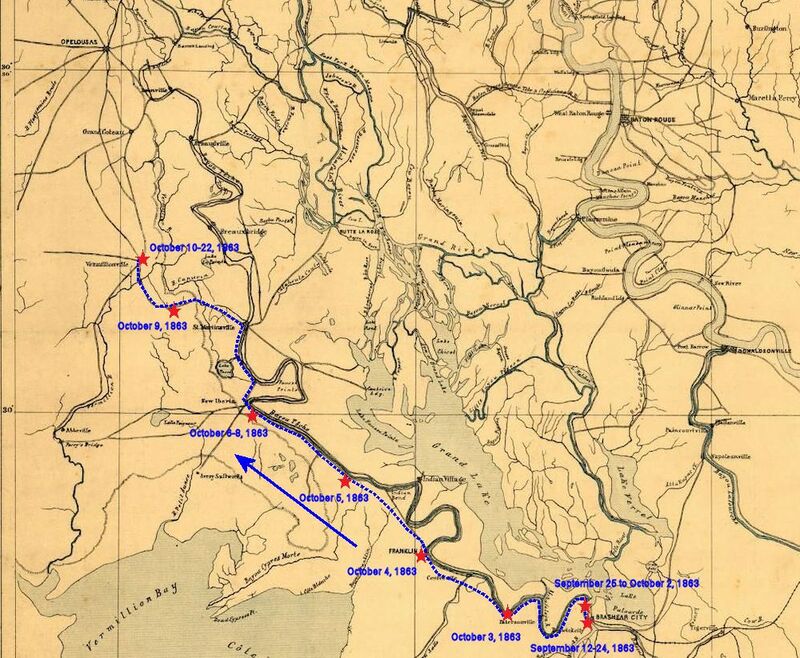 Modern day map showing the approximate route of the 16th Ohio on its march northwest to a point northeast of Vermilionville (modern day Lafayette) on October 10, 1863. This map is zoomed out so the entire route of the 16th Ohio from its start at New Orleans can be seen. Note: The exact location of the regiment's camp has not been established as references are somewhat vague, indicating they camped on the Vermilion River near the town of Vermilion (now Lafayette), Louisiana. Purple pin - Approximate location of the campsite of the 16th Ohio on the Vermilion River, near Vermilion (Lafayette), Louisiana, from October 10 to 22, 1863.